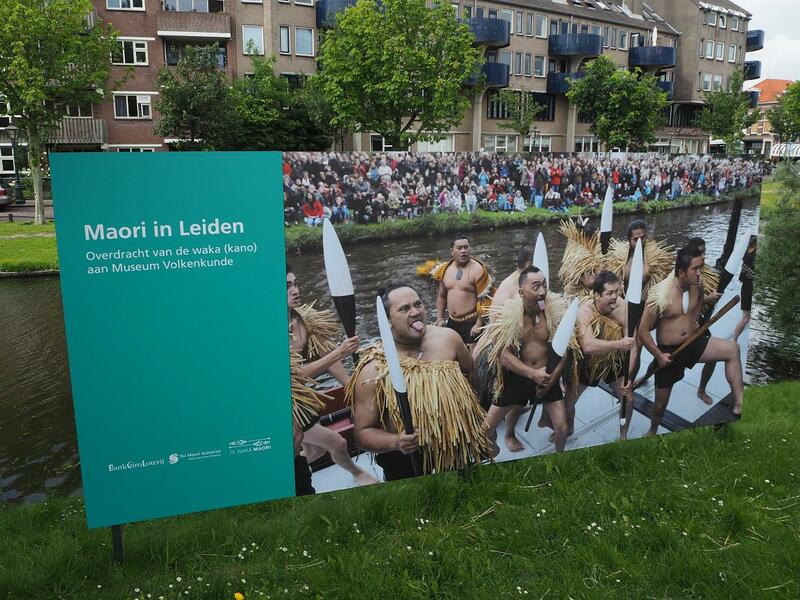 If there was such a thing as a Maori capital of Europe, it would be the Dutch city of Leiden. 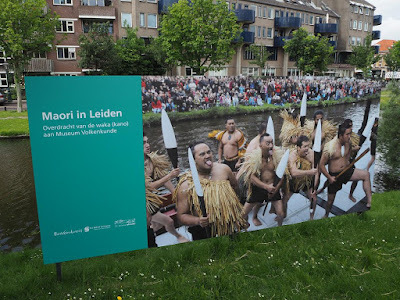 Not only does Leiden has a waka taua (ceremonial canoe) - made by the master waka builder and navigator Hekenukumai Busby - it also has a training waka, a whare waka (fully carved canoe house) and a permanent exhibition on Maori arts and culture in the Volkenkunde Museum (Museum of World Cultures). 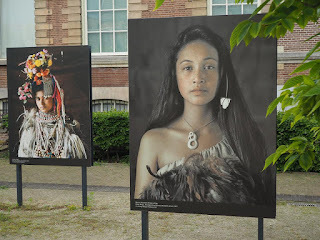 Best of all it has a 60-member student club dedicated to learning all they can about kaupapa waka (canoe customs) and upholding Maori culture in New Zealand, even though none of them have Maori ancestry. Every year several members travel to New Zealand to take part in Waitangi Day festivities and increase their knowledge. 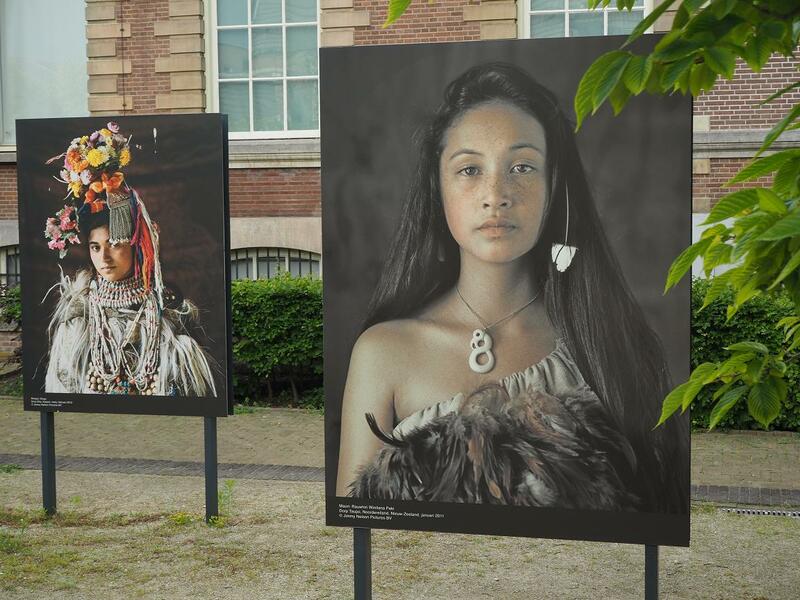 More to come about the waka club in the next few posts... By the way, Leiden is also the city where my father was born.